(VOXtra) - Tom Dheere, veteran voice actor and coach - and one of the most respected experts on how to aggressively market your voice over business - is tonight's interview guest on the weekly Voice Over Body Shop (VO-BS) webcast. 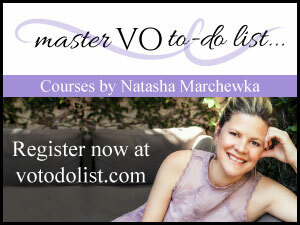 He'll share tips on how to maximize exposure to potential customers and maintain existing relationships - and answer questions on any VO topic. 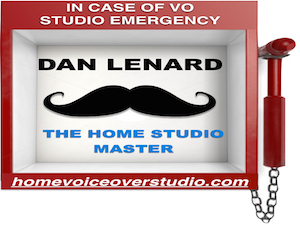 VO-BS co-hosts Dan Lenard (the Home Studio Master) and George Whittam (audio consultant to the stars) will of course, also entertain and discuss voice over home studio audio and field questions on that, as well. Every Monday night, the VO-BS webcast entertains and informs with news and audio tips, and answers viewers' questions about home voice over studios. You can send your questions in advance - or during the show - to theguys@vobs.tv. Plus, the show includes exclusive news from VoiceOverXtra, audio tech tips, a fast roll of comments in the Chatroom, and much more. The live show starts at 9 p.m. Eastern; 8 p.m. Central; 7 p.m. Mountain; 6 p.m. Pacific and 9:30 p.m. in Newfoundland. Go to www.vobs.tv.